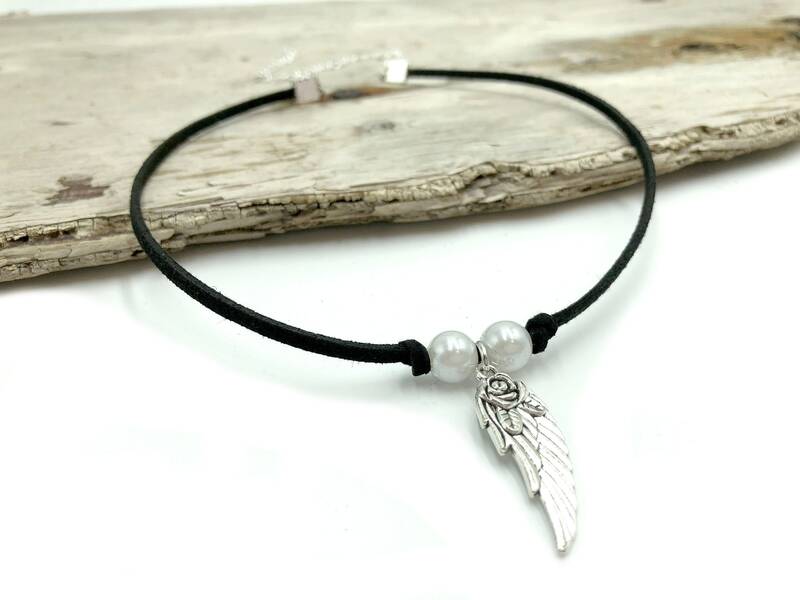 This adorable faux suede and glass pearl choker features an angel charm. Measures 12 inches with a 5 inch soldered extender chain. Limited quantities available. Love love love this choker! And love how quickly it shipped and how nicely it was packaged! Thank you very much!